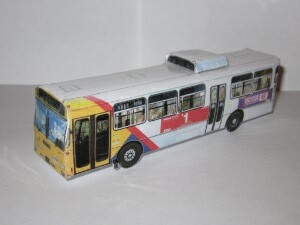 ATDB • View topic - Paper buses, trams and trains. Hello. My name is Andrey Kuznetsov. I'm from Moscow, Russia. 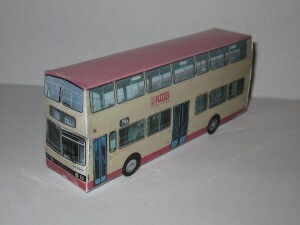 My hobby is paper models of public transport. 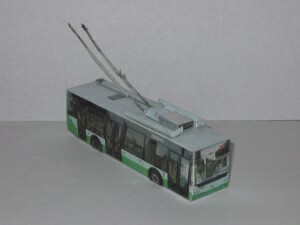 Welcome to "Paper Trolleybus" project - paper models of public transport. Sorry, but all info about models and my website are in Russian. Does anyone have good photos of Tindo? 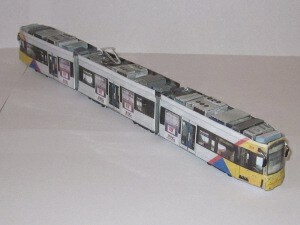 Re: Paper buses, trams and trains. WOW!! 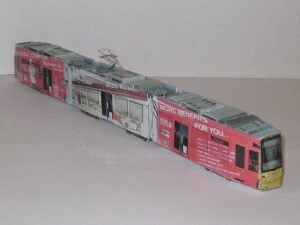 The A-class tram & Melb Tourist bus look AWESOME!! 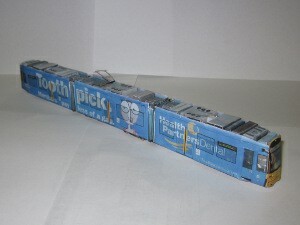 I like how you got the shape of the train carriages also. Well done!! These models are amazing - very life like. Well done!!! 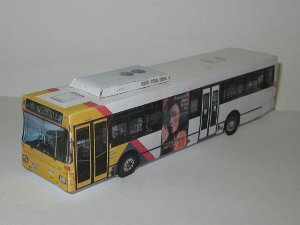 What about a Transperth bus? You seem to have ALOT of time to do these perfect models! Express - Set Down Only. 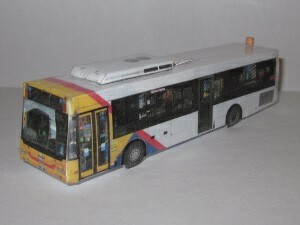 Mr OC Benz wrote: What about a Transperth bus? You can send me photos and ask to do a model. 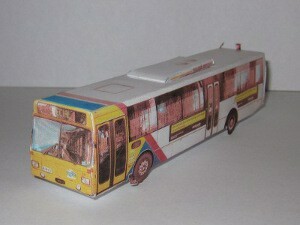 If photos are perfect, I can make a perfect paperbus. 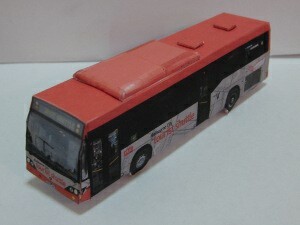 BUSTECH Rules wrote: You seem to have ALOT of time to do these perfect models! I don't have really a lot of time. It takes about an hour to make a bus or a tram. 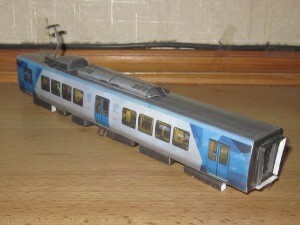 But these models are not really difficult to make. 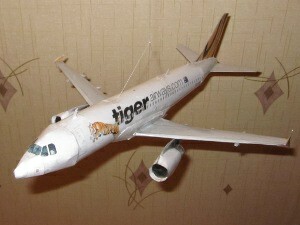 Now I want to make an Airbus A320 aircraft. 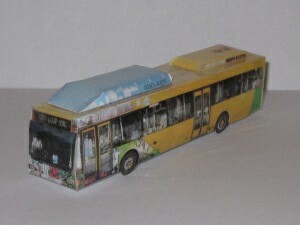 And new model - trolleybus Bogdan T601.11 from Ukraine. Loving the 2000 class models too. Any help with ways of sticking them together? 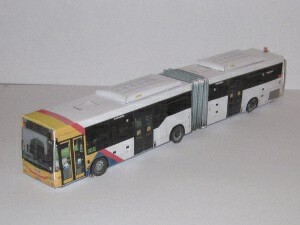 I have tried making some of your Adelaide buses and am finding it a bit hard to stick it all together. Do you just use normal sticky tape or is there a special way of making them? Wow, 2226 is my favourite bus to drive, Kudos! 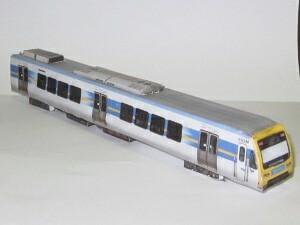 baytram366 wrote: Loving the 2000 class models too. Any help with ways of sticking them together? 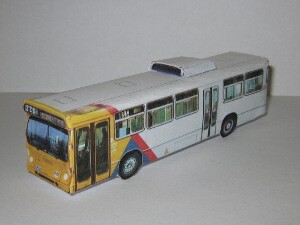 I have tried making some of your Adelaide buses and am finding it a bit hard to stick it all together. Do you just use normal sticky tape or is there a special way of making them? 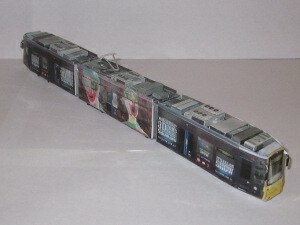 I use sticky tape and glue to build my models. It's convenient to assemble big parts using sticky tape and small parts using glue. But all models can be made using only glue. I have only not very good photos of tram 370. I'll try to do a model. 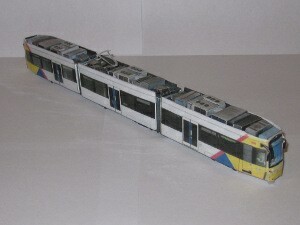 But if you have good photos of that trams - you can email me and help to make a perfect model of H class tram. Those are terrific models Andrey, I wonder how you make them so quickly! Keep up the good work. 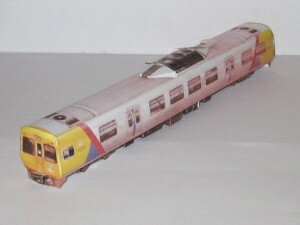 These are great, in time maybe you could make one of the old ADG/ADH/ADX DMU's we used to have running around Perth, like this one? 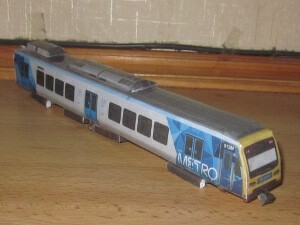 ADX666 wrote: These are great, in time maybe you could make one of the old ADG/ADH/ADX DMU's we used to have running around Perth, like this one? 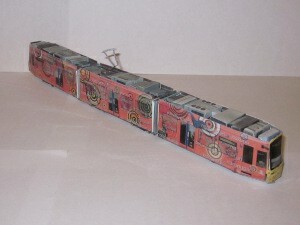 I can try to do a model if you have good photos of that railcars. 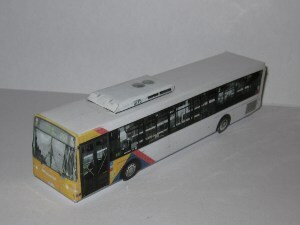 Great models Andrey, I am really impressed, you have a great selection of Adelaides buses. Have you considered the Custom Coaches CB60 Combo Scania L94UA's or the Transit Plus Volgren CR224L bodied Scania L94UB's ? 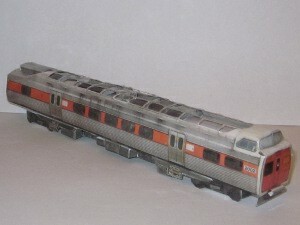 I love the 2000/2100 Jumbo models too. Keep up the fantastic work. Wait, we can't stop here..........This Is Bat Country! My Avatar MAN SL200 2452 on The Mayors History Tour. 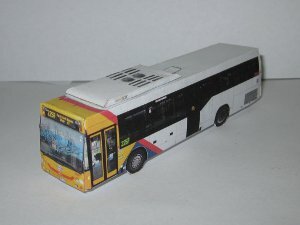 EX PTC & PTB wrote: Great models Andrey, I am really impressed, you have a great selection of Adelaides buses. Have you considered the Custom Coaches CB60 Combo Scania L94UA's or the Transit Plus Volgren CR224L bodied Scania L94UB's ? 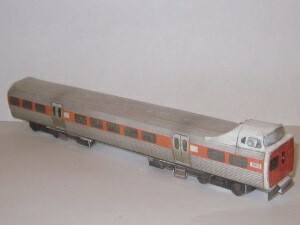 I love the 2000/2100 Jumbo models too. Keep up the fantastic work. 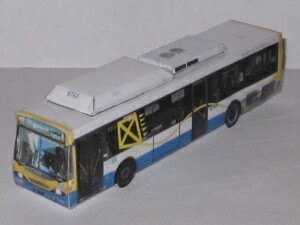 Yes, there will be models of CB60 Combo Scania (I forgot the bus number, maybe 958) and Volgren CR224L Scanias (3207, 3215, 3311 and 3314). Maybe one of these models will be the next. 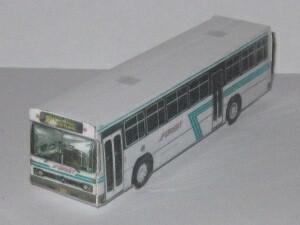 Love the CR228L bodied TransitPlus Scania. 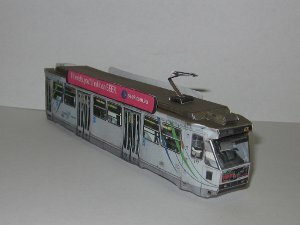 I am really impressed by your models and just want to say thanks for making the effort to make them and post them here.